Stillbirth and neonatal loss are painful in many ways. But increasingly, some of the more than 24,000 American women whose pregnancies end with the loss of their babies are choosing to do something they find both demanding and healing – giving their breast milk away. As a social worker, a scholar of philanthropy and a mother who has lost a baby myself, I wanted to learn more about what these women experience. So I embarked on a research project. In the first phase of my study, I analyzed personal written stories and testimonials of bereaved donors who donated their milk. Currently, I'm conducting in-depth interviews with these women to understand what motivates them to give during their time of personal loss. From the dawn of humanity, women have shared their breast milk – often for the survival of babies whose mothers could not nurse. Until the 20th century, this was usually done by directly nursing the babies. In 2017, a network of 27 nonprofit milk banks screened, pasteurized and distributed nearly 6 million ounces of donated milk. Most of this donated milk comes from mothers who are breastfeeding their own healthy babies, but a significant number of grieving mothers donate as well. For example, more than 300 grieving mothers have shared their milk through the Mothers' Milk Bank at Austin since it opened in Texas in 1999. This system has emerged as a way to help ensure that more babies can get their ideal source of nutrition. The World Health Organization and pediatricians recommend that all newborns be exclusively breastfed for at least the first six months of their lives. Studies have shown that breastfeeding has many benefits, such as making children less prone to obesity, diabetes and other illnesses and reducing the risk of sudden infant death syndrome. Research also indicates that breastfeeding benefits maternal health, even for women who have lost their babies. And for premature or medically fragile infants breast milk can save lives. Losing a baby before or after giving birth is a major life crisis that involves multiple losses for these women: the too-early end of their pregnancy, the dashing of their motherhood expectations and sometimes even of trust in their own bodies. All the mothers in my study lost their babies through stillbirth during labor or died as newborns. But despite their baby's death, their bodies produced the milk that was destined for their child. It was a recurring physical reminder of their loss. 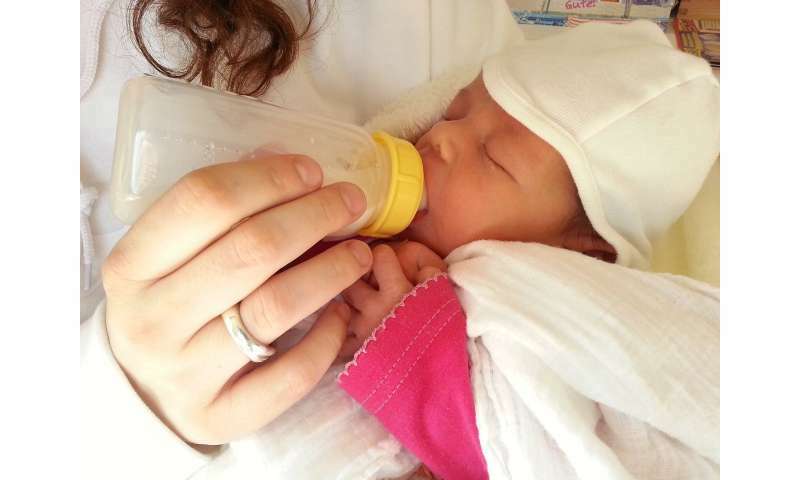 Even for women who aren't grieving, extracting breast milk without a baby's help is hard. It involves an elaborate routine of using and cleaning a breast pump, finding somewhere private and comfortable for pumping and preparing oneself emotionally for this activity. In addition to what is often a state of emotional discomfort, pumping is sometimes physically painful. When a woman is pumping but not nursing a baby, she has to extract milk every few hours, throughout the day and night. Skipping as little as a day or two or failing to pump regularly will cause the milk supply to cease. For the grieving mothers in my study, the process of pumping and donating breast milk became a repetitive ritual, during which they reflected on their loss. "Pumping my milk is more healing than I thought it would be," a bereaved mother identified as Kim blogged on the Indiana Mothers' Milk Bank website. "I do it four times a day for 10 minutes. Those 40 minutes have become very precious to me. It allows me to reflect upon everything that has happened, cry, and pray. It's very therapeutic to have something positive come from such a traumatic event." This act can also help these bereaved women hold onto, and share with others, the memory of their deceased children. "The milk bank sent us a picture of a quilt that they've created to honor the babies gone too soon whose milk has provided life for other fragile lives," said Chelsea, a bereaved mother from Massachusetts, on the Mothers' Milk Bank Northeast website. "This was another reminder that all life, no matter how small, is loved and valued." From bereaved women's stories like these, I have sensed that the recurring act of pumping served as a private and intimate memorial ceremony for honoring the babies they lost. And that their ability to help save other babies' lives by donating milk made recovering from their loss easier.